Film entered a heterogeneous media environment at the turn of the twentieth century, drawing on diverse media forms and practices. Picturing Mexico: From the Camera Lucida to Film considers the eighteenth-century topographical view, the early-nineteenth-century painted panorama, and the pictorial organisation of lithographs and photographs of Mexico made by nineteenth-century visitors to the country from Europe and North America. The introduction of the private photographic album and the illustrated press towards the end of the century transformed the space of the printed page, heralding the convergence of a variety of practices for reading and viewing still and moving images. 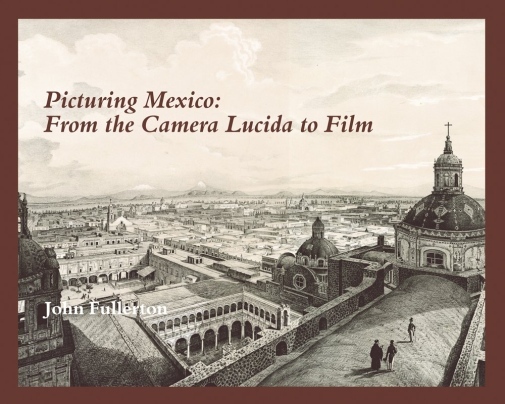 Picturing Mexico: From the Camera Lucida to Film re-conceptualises our understanding of the development of film as a medium embedded in nineteenth-century popular visual culture, stimulating the role of the imagination for readers who engaged with the printed word alongside engraved and, later, photographic and filmic images. The book offers new insights into the relation of film to the tradition of nineteenth-century optical transcription, highlighting practices that help characterise ‘cinema’ before the advent of cinema. John Fullerton, a professor in cinema studies at Stockholm University, has written extensively on early cinema, and is editor or co-editor of five volumes of original essays for John Libbey Publishing, including Nordic Explorations: Film Before 1930 and Screen Culture: History and Textuality.